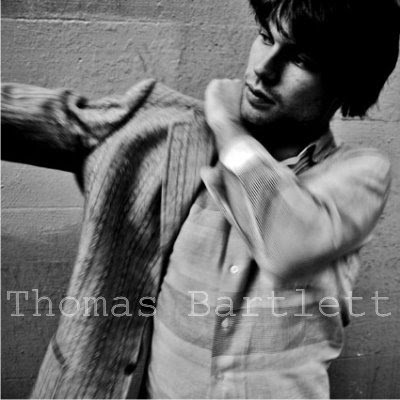 Thomas Bartlett (Doveman) has a voice which many will turn away from, not unlike the way many turn from a couple of heroes of his, Nick Drake and Tom Waits. It's as if half of Bartlett wants to sing out, but the other half doesn't want to be heard. A voice thrown so high up in his throat his heart is caught there flush against his neuroses and it all comes out in a whispered plea. I can't help but feel sorry for anyone who dismisses talents like these three because they don't fit into what major labels and their partners in crime, mainstream radio, dictate as the acceptable way of singing. Although I suppose all the blame can't be laid at their feet, it's a two way street and half the traffic is what the majority want to hear, it's a boring and sad give and take, BUT you can break free by opening yourself to what singer/songwriters such as Waits, Drake and Bartlett can do with their musical talents and honest voices (don't take my word for it, read Kenny Loggins sage lyrical advice below). Bartlett has recently been inspired by an old friend, Gabriel Greenberg, to record covers of the soundtrack, Footloose. Bartlett is a great improviser and fosters that creativity within his band Doveman, and no doubt has brought that open and giving form of playing to his interpretations of the soundtrack. Learn more about the impetuous behind the project, musician Thomas Bartlett, and download the nine songs individually, by visiting this page. You can find a few of his Footloose songs here in a new post.